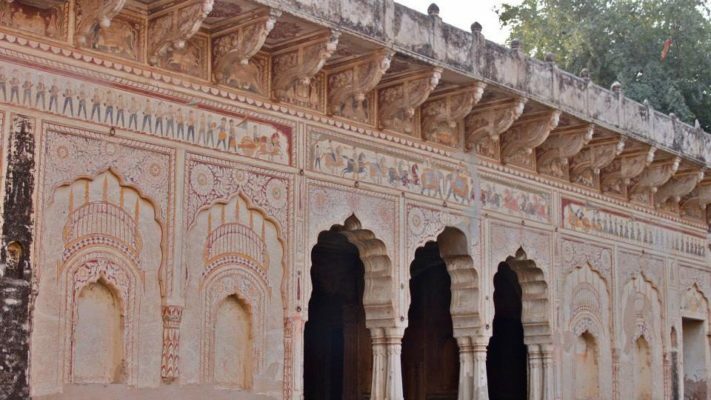 A brief glimpse into the beautiful region of Shekhawati, and Reboot’s Art & Architecture tour to this land of the brave and the industrious. 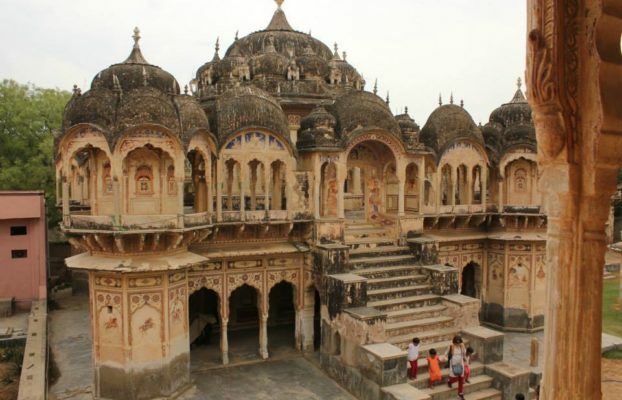 Shekhawati is a small region (others being Ajmer, Marwar, Mewar, Mewat, Dhundhar, Gorwar, Hadoti and Vagad) in the state of Rajasthan comprising of the districts of Jhunjhunu, Sikar and parts of Nagaur and Churu. 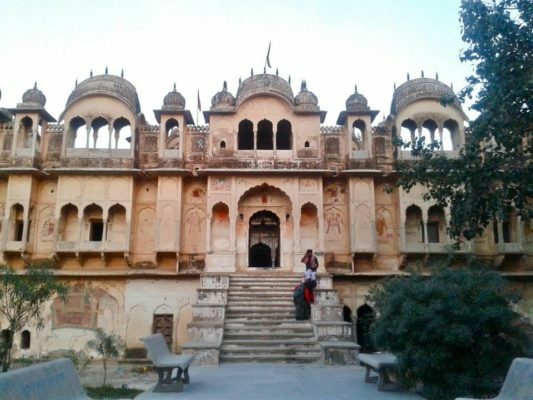 Shekhawati gets its name from the Rajput Chieftan Maha Rao Shekha, belonging to the Kachwaha clan (the clan of the rulers of Jaipur state). His descendants are called Shekhawats. 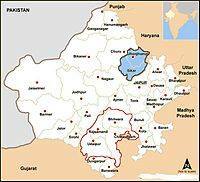 Before independence Shekhawati was a fiefdom of the Jaipur State. 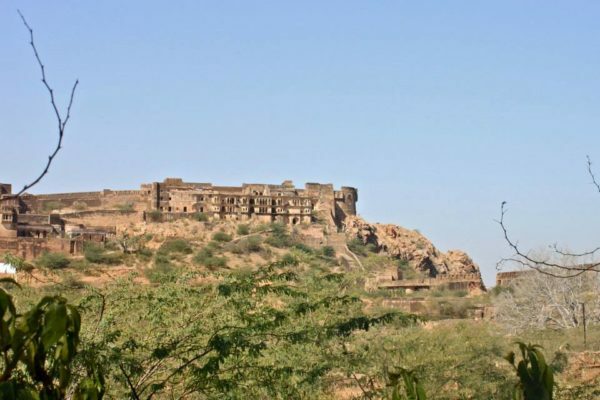 It is a semi desert region with the Aravalli Hills in the East, some hillocks (where Forts of Thikanas or temples were built) and most, is part of the vast Thar desert of Rajasthan. 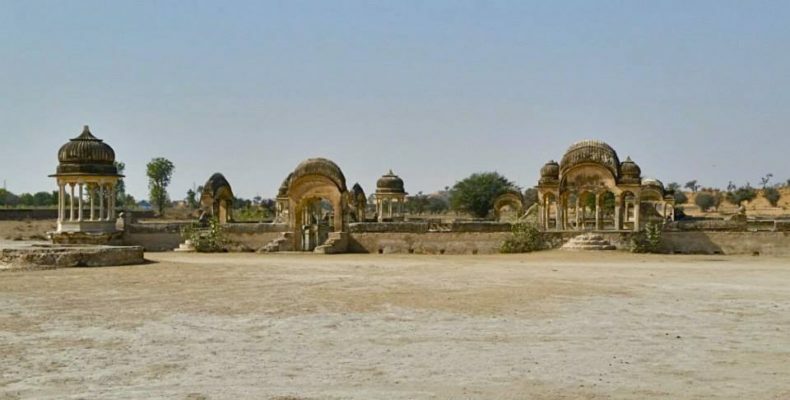 The area around the Aravalli ranges is relatively fertile, with high water levels, however, most of the region, especially in the north west is arid, and sandy. 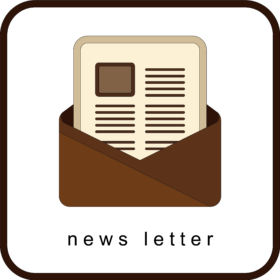 There is no perennial river in the region and the traditional water harvesting systems of the past were designed to cater to the water needs of the people. 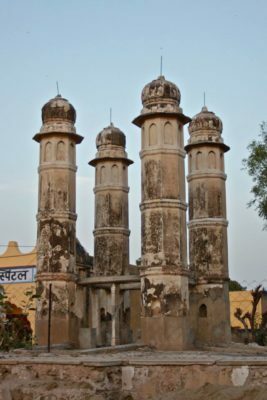 The wells of this region are unique in their architecture with minaret like columns rising up onto the landscape, hailing people from afar and announcing their presence. The sudden appearance of these beautiful structures, make them not just a functional sight-for-sore-eyes but also an aesthetically appealing, soul stirring part of the landscape. Another beautiful water structure found especially in this region is the Johara/johad. Flat, open to sky, beautifully designed with shade domes, a johad sits on a water catchment area, capturing rainwater from its inlets. It’s shallow depth and wide spread area allows for many people to access the waters at the same time easily, and also maintain the structure. Since famines were a regular aspect of the region (Shekhawati had severe famines every 8-12 years, and the famine of 1899 is recorded as the worst. There are folk songs that talk of the tragedy of the Chappania Akal, the region would suffer great loss in human and livestock. Joharas, were thus designed with a ramp to allow for livestock to access water on their own. 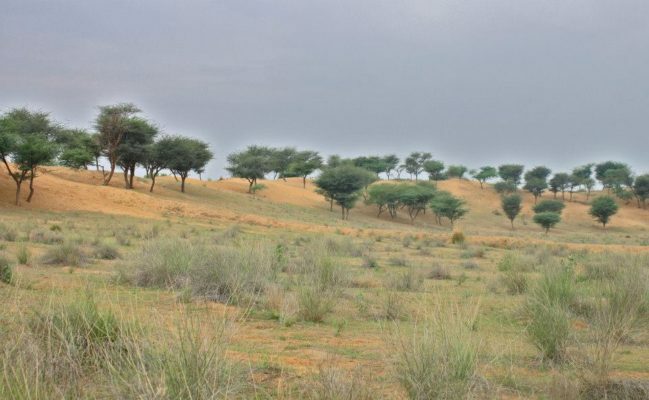 The lands of Shekhawati do not have forests due to its extreme climate. 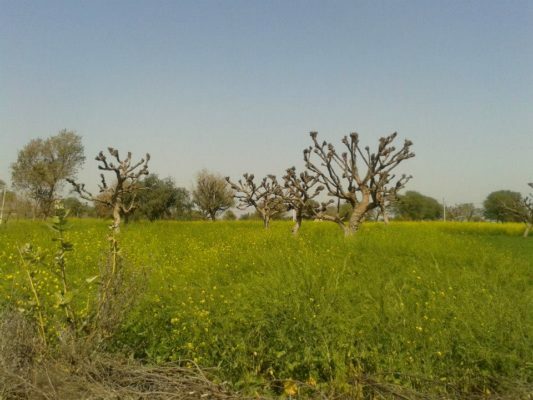 Its pastures, known as beed, have green shrubs with trees. The Khejari tree (prosopis cineraria) is the main tree of the region. Its leaves called Loong are used as fodder for camels and goats, and are also used as an herb. Its wood is used for domestic fuel. Sangri, its fruit, is used as a vegetable (of the ker sangri dish of Rajasthan). It is also known to be an effective medicine for stomach ailments. It is therefore, considered holy and the first Chipko movement, in the year 1730 in the village of Khejarli (named after the tree), near Jodhpur, by the Bishnois, was to save this tree. Not only is the Khejri tree the State Tree of Rajasthan, it is well known outside of India as well. The most famous is the Tree of Life, located in Bahrain that has been standing for over 400 years. It is also the national tree of the UAE. 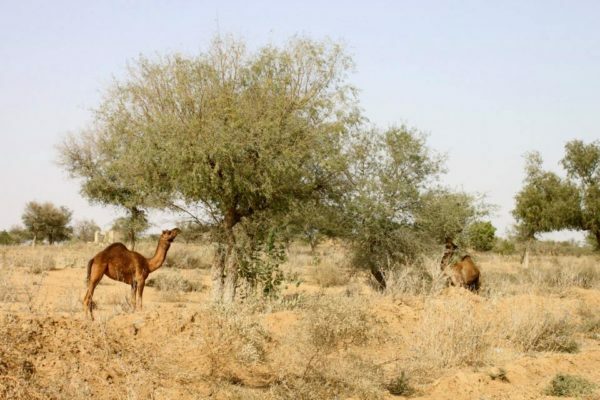 The livestock of the region comprise of cows, buffaloes, sheep, goats, and the Ship of the Desert – the camel. The famed Marwari horses are also bred in the region and there are many stables in the region. 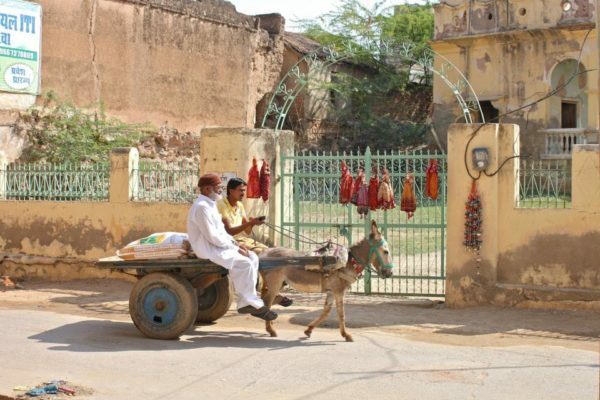 However, it is the frequent sight of donkeys in this region that makes it unique. No one knows why, but this animal is widely used for transportation and for carrying goods in the region and you will find many donkeys as you travel around the region. Among birds, the peacock is found abundantly and you will inevitably get to see one dancing to impress a pea hen. It is said that the hardships of the region have made its people tough and strong in spirit and in character. It is no wonder that this small area of Rajasthan – only 0.4 percent of its total area has given more military personnel to the Indian Army than any other region! It has been referred to as the Scotland of India. 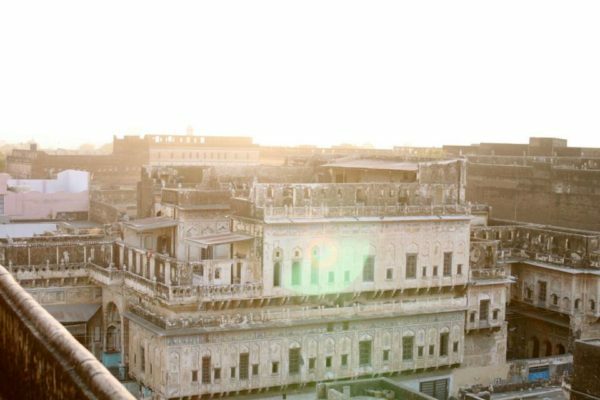 The silk route passed through this land, and the business community of this region has stood out in its contribution to the Indian economy through these families that have their roots in Shekhawati. Some of them being the Birlas, the Poddars, the Ruias, the Bajaj family, and many more. 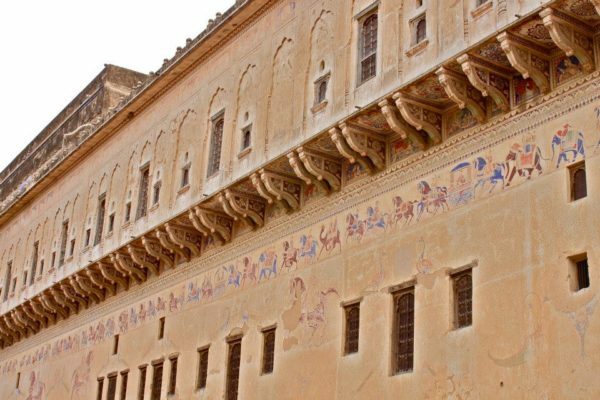 It is these businessmen that built beautiful havelis adorned by frescoes on every possible surface – walls, ceilings, cornices, columns, etc. 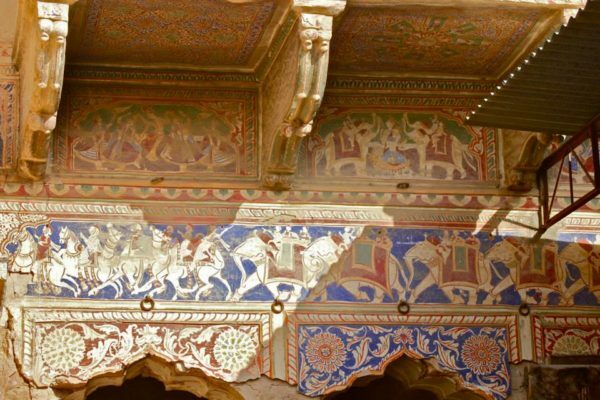 Most of them moved on for better business prospects to Bengal, Burma, Mumbai, but sent money to have these havelis built and painted to such a large scale that the region of Shekhawati is known as the largest open-air art gallery of the world! 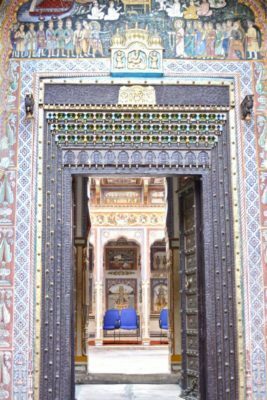 It was, therefore, to discover the lost beauty of these havelis that we, at Reboot, embarked on the tour of Art & Architecture of Shekhawati. Much like its inhabitants, used to a challenge, we took on the task during the warm month of April 2015. 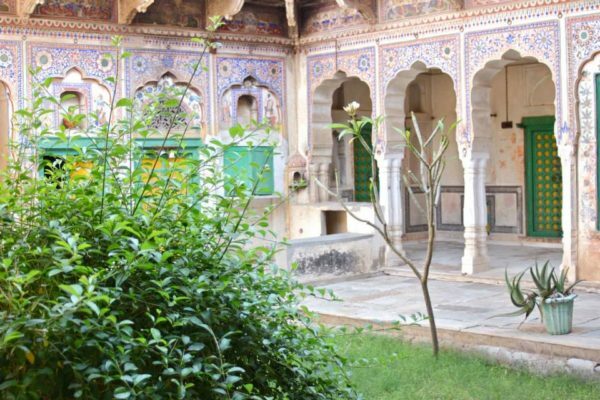 Off we went from the city of Jaipur, to the interiors of Shekhawati! 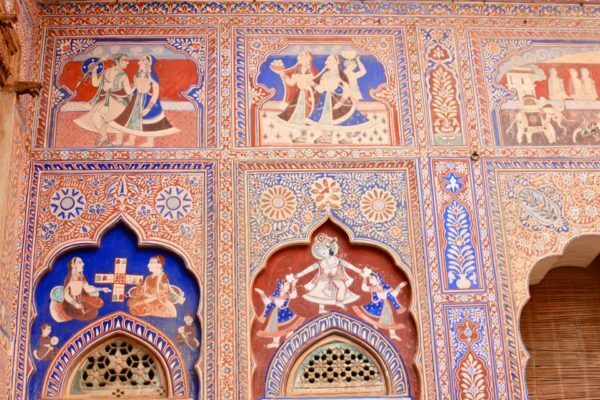 The architecture of the havelis of the region is similar in most cases. What changes, is the scale, and primarily the art. 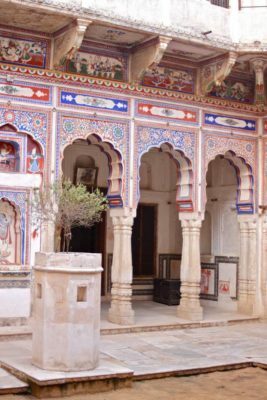 Each haveli has a front foyer/courtyard, for visitors. The courtyard was traditionally left without flooring, filled with sand, and maybe a plant. The sand was used for “havans” (religious fire ceremony), in scarcity of water the sand was used to wash utensils, and it also operated as a rainwater harvesting catchment area.The inside courtyard had a latticed window that worked as a peep hole, that was for family or the womenfolk, and allowed for the women to see who had come in, without having to show themselves. 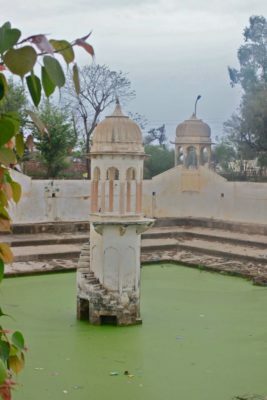 The haveli was usually on a raised plinth and the living floors started high (almost a floor above), the ground level had cellars, domestic help residences or sometimes shops overlooking the road. The exterior had murals and frescoes depicting the time and context of those times.The doors and windows were aplenty, and keeping the harsh climate in mind (extreme heat and extreme winter) these openings were small and closable. 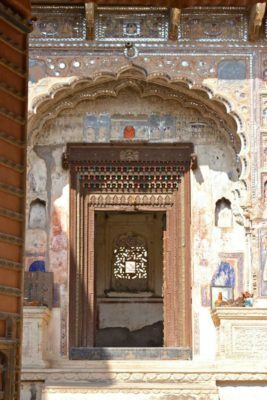 Shekhawati is known, till date, for its wooden carving, and the doors, windows of these havelis are a testimony to that beauty in detail. 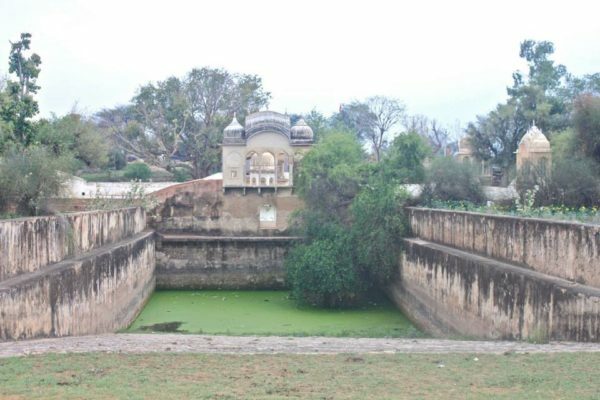 Along with the havelis, the region has beautiful water structures (as mentioned earlier) and they are bound to set your heart racing, and also sad as they are in dire need of maintenance. There are also beautiful chattris (cenotaphs) with elaborate art. A fascinating aspect of this region is that the business community has Cenotaphs too! 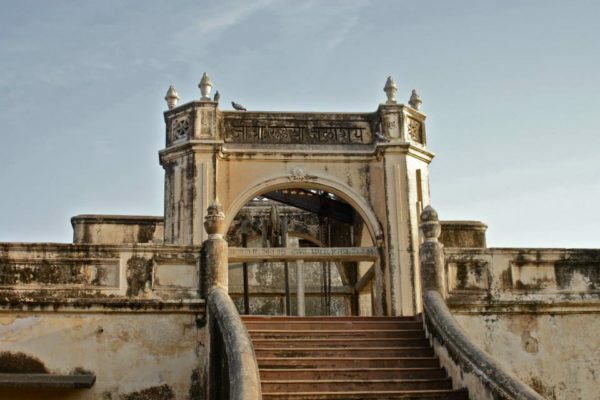 Usually, it is an architectural practice for the ruling classes to commemorate those gone, to build these structures in memory. It shows the power, the eminence that the businessmen had in these areas in those times. The art is all over the place! 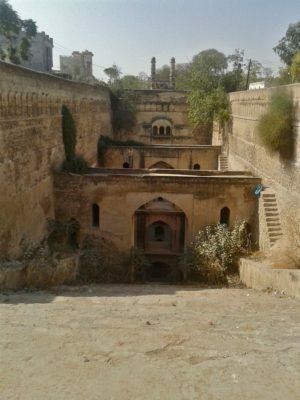 Not just the havelis, but also the cenotaphs, the stepwells, the temples and the sarais (guest houses). 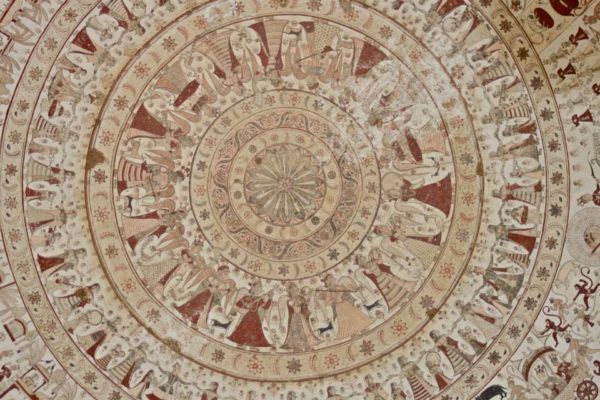 The type of art is likely to give a hint of the times the fresco was made in. 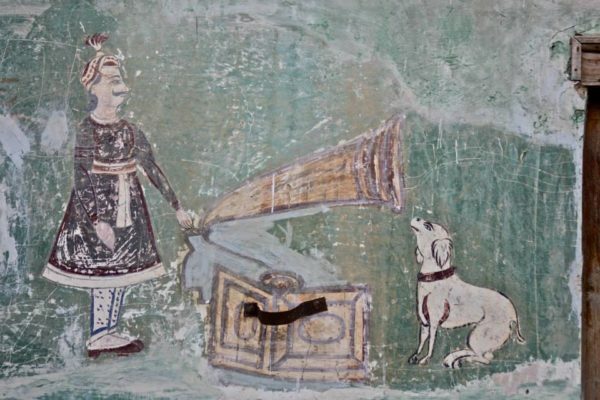 The initial frescoes were more Mughal- patterns, flowers/leaves and abstracts. 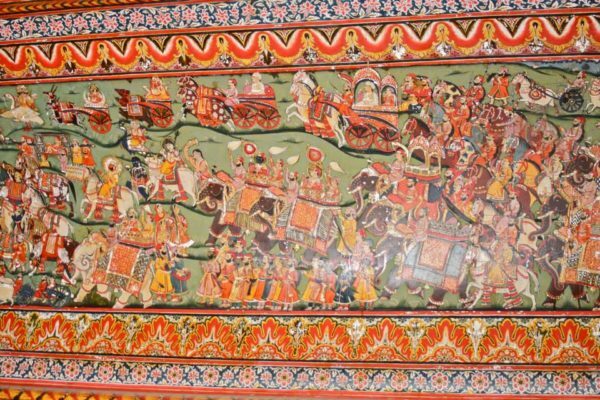 Whether you visit Shekhawati for it’s art or it’s architecture… ….or to just get away from the madding crowd (and you will feel cut off from the world here)…it is a region that will tug at your heart, shake and stir your brain cells,…it will overwhelm you with its beauty and it’s harsh reality, and it will make your heart feel heavy for the same reasons…it is not a place that you will come back feeling indifferent from.